Your refrigerator space is very important to you, we get it. You need room your food, but still want room to chill your wine for those odd times you don't buy it in a box. 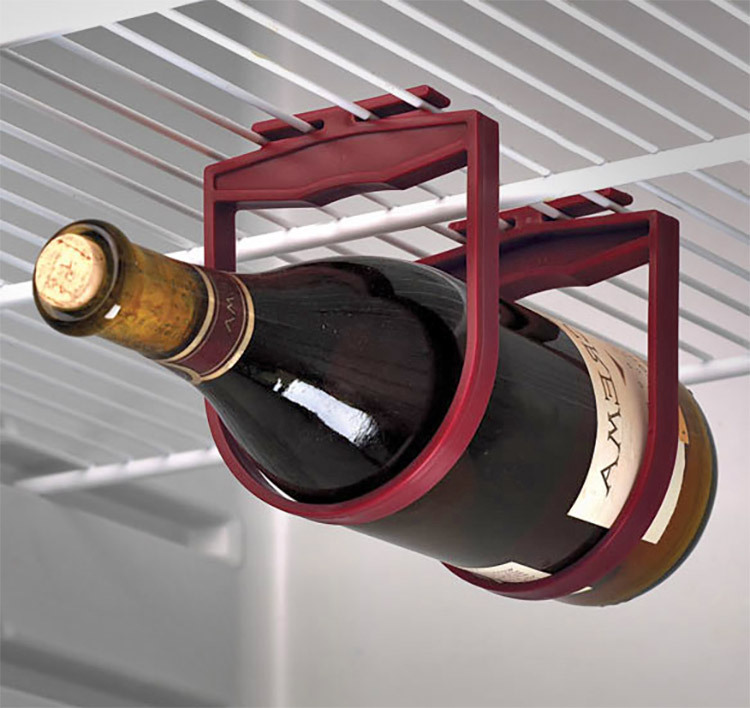 This hanging refrigerator wine rack will allow you more room in your fridge by hanging your wine bottles from one of the shelves. 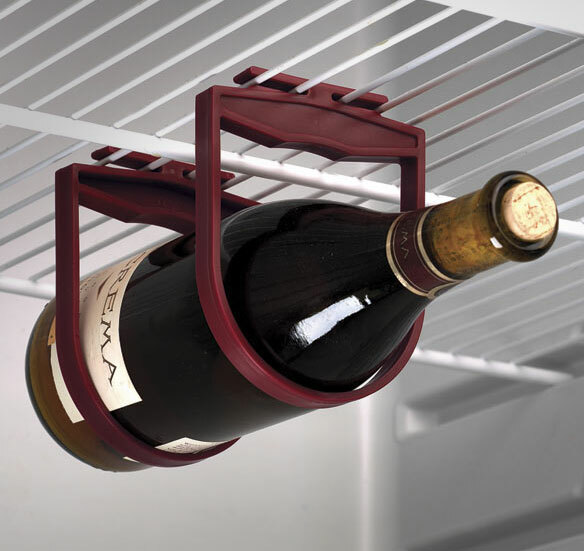 The Holdups refrigerator wine rack will hold up your wine on the bottom of a shelf to not only save on room in your fridge, but it'll also keep it from rolling around if you were to keep it on its side. 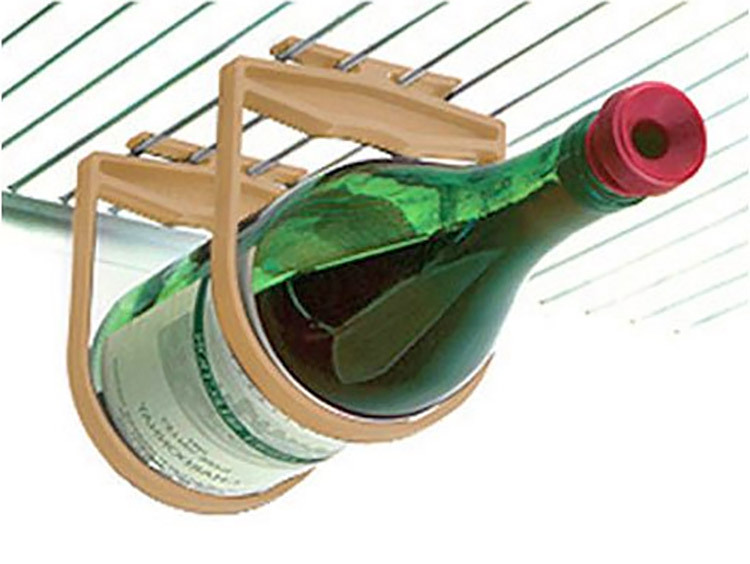 It's of course better to keep a bottle of wine horizontal to help preserve it. 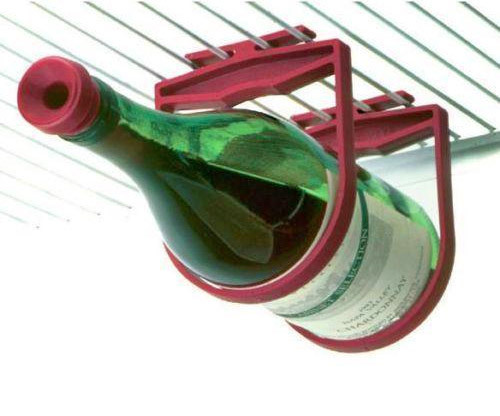 To use the hanging fridge wine holder simply attach it to any grated fridge shelf by using the tabs on the top of it. It comes in two separate pieces so you can slide them in and twist them to lock them in place. Then, just space them out accordingly, and slide in your bottle of wine to save space. Now you'll have all the room in the world inside your fridge without having to sacrifice chilling that bottle of wine. 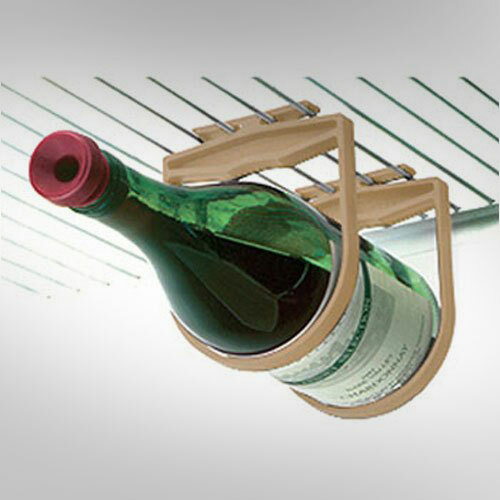 The holdups wine rack measures 4 inches long x 5 inches wide x 0.25 inches thick, and unfortunately does not include an actual bottle of wine.